Spare Lithium BatteryThe MC-10-80 is specifically designed for the FN Herstal P90. The sight is a unit power telescopic sight with a black graticule for day use and green illumination reticle for night use. Being NVG compatible it is ideally suited to 24 hour operations. Aiming is instinctive and target acquisition instantaneous. The P90 is fitted with an integral optical sight without magnification, for improved sighting and quicker acquisition of the target. Performance is fully retained in low light conditions. 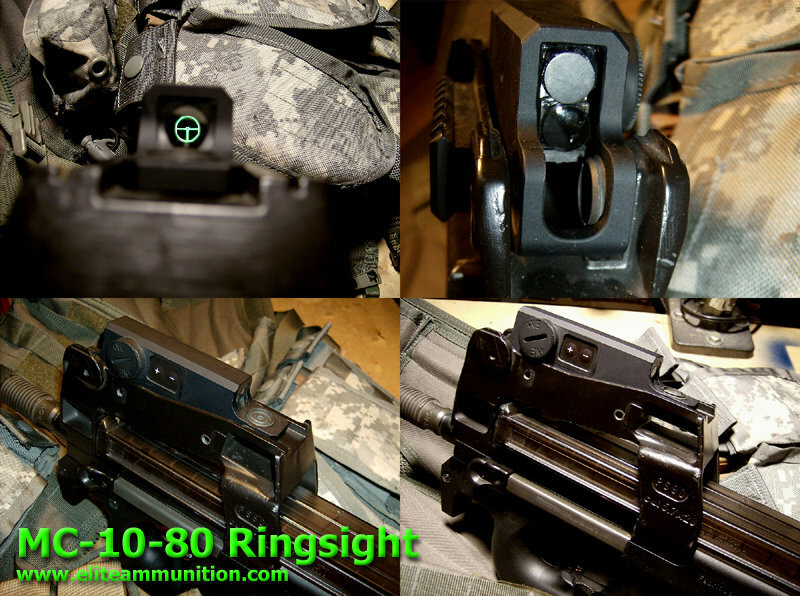 In the P90 the solid glass optic is potted into a plastic housing designed as part of the weapon interfacing with it through two zeroing screws for elevation and windage. The sight withstands the NATO drop test by dropping the gun onto concrete, sight down, from 1.5 metres without damage to the sight.